Mobile Notary San Jose Signing Service provides mobile notary services to Alameda, Santa Clara and San Mateo Counties. We offer affordable mobile notary services after hours, evenings, late nights, any day of the week 24/7 . Or By appointment at other times. Mobile Notary San Jose is affordable, confidential, reliable and convenient because we come to you where you need us to be. I am a experienced mobile notary, Certified Notary Signing Agent Service, and member of the National Notary Association. We will travel to Banks, Financial Institutional, Title Companies, Senior Centers, Convalescent Homes, Retirement Homes, your place of business or your Residence any day of the week. 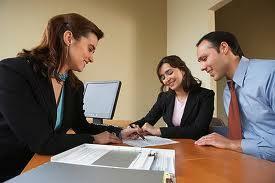 We specialize in escrow documents, grant deeds, quit claim deeds, affidavits of title, notes contracts. We can deliver completed documents overnight via Fed-EX, UPS or Express Mail. We will travel anywhere Santa Clara, San Mateo, and Alameda County and surrounding area's, We can also notarize affidavits, powers of attorney, trusts, wills, acknowledgements, bills of sale, etc.